In a baking dish, add 1 cup salsa. 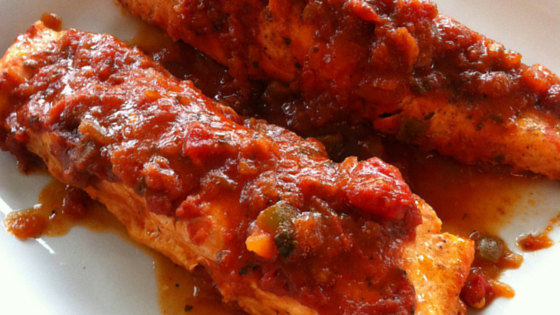 Place salmon on top of salsa and top each steak with remaining 1 cup of salsa. Bake, covered for 20 to 30 minutes.